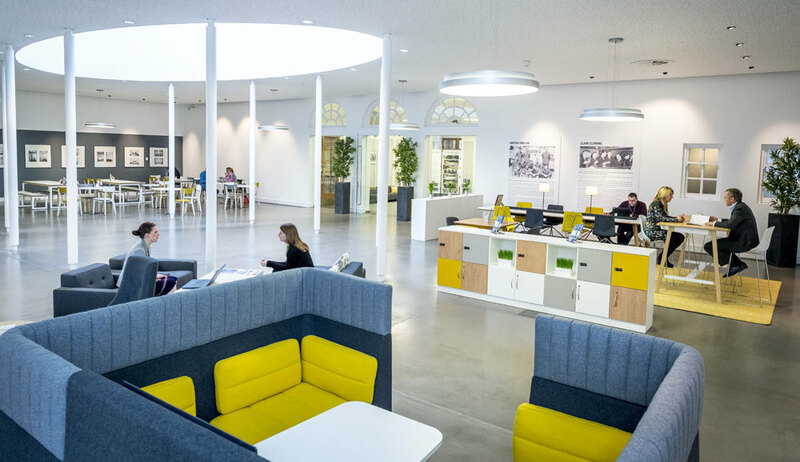 Mantle operates co-working spaces at all its locations (Stansted, Chelmsford, Duxford, Cambridge and Stevenage) where workers from different disciplines can meet, interact and ultimately collaborate with each other. Mantle will provide everything you need, from the desks and chairs, to fast Wi-Fi that enables you to get through workloads quickly and without delay. The break out spaces offer a place to relax away from your desk, with complimentary tea and coffee. All managed by our professional and friendly team who are always there to offer support. Mantle also has a programme of monthly ‘Go Meet’ networking events at each of its locations in Stansted, Chelmsford, Cambridge, Duxford and Stevenage, designed to help you promote your business and bring a steady stream of new business opportunities straight to you. All our workspaces are managed on-site. Your operation can be set up quickly and efficiently, and you’ll have the flexibility to work the way that suits you from as little as £10 per day. Could co-working be for you?